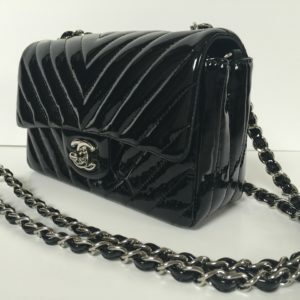 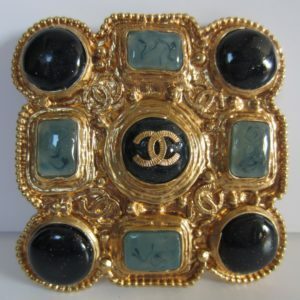 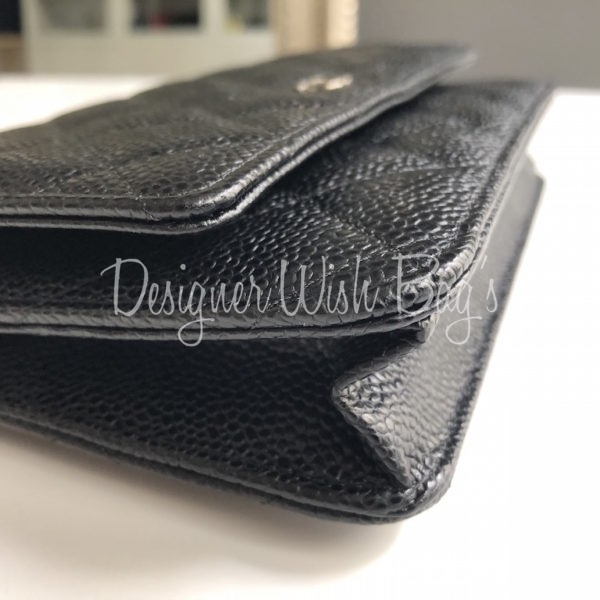 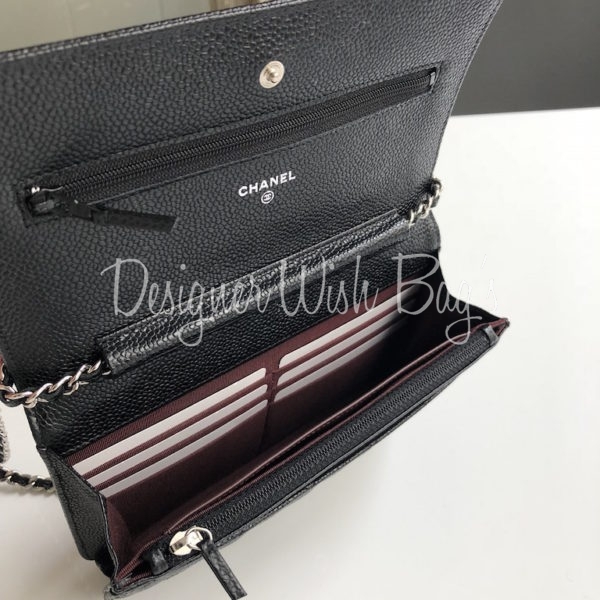 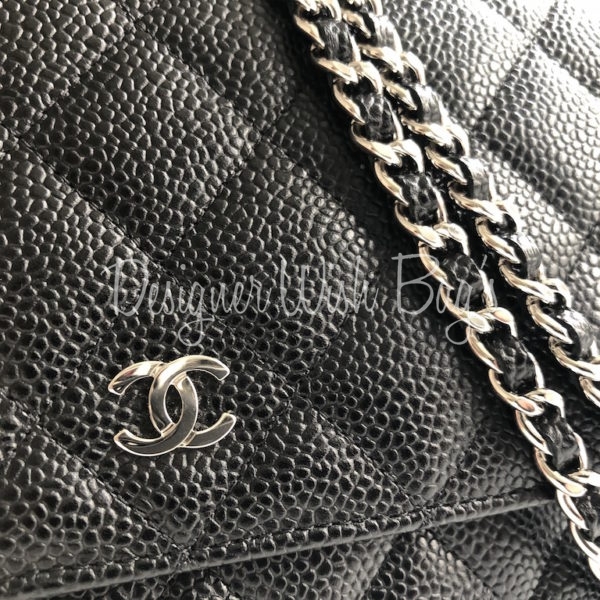 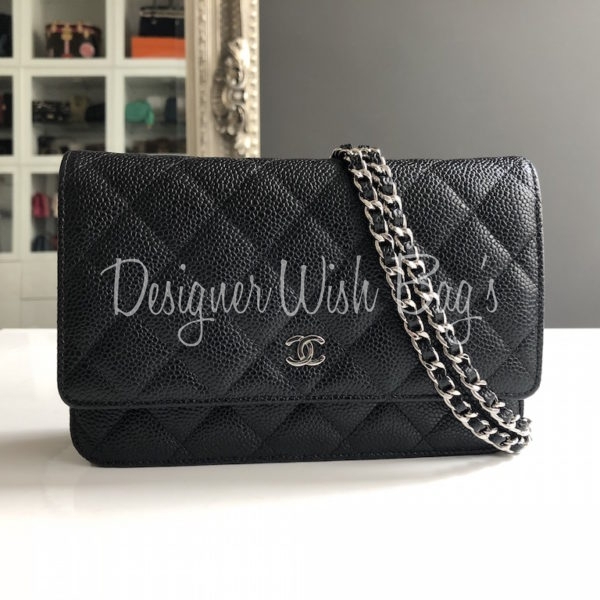 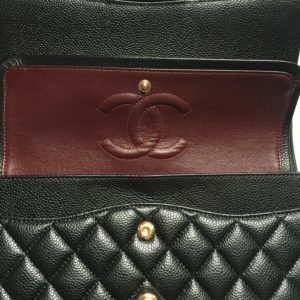 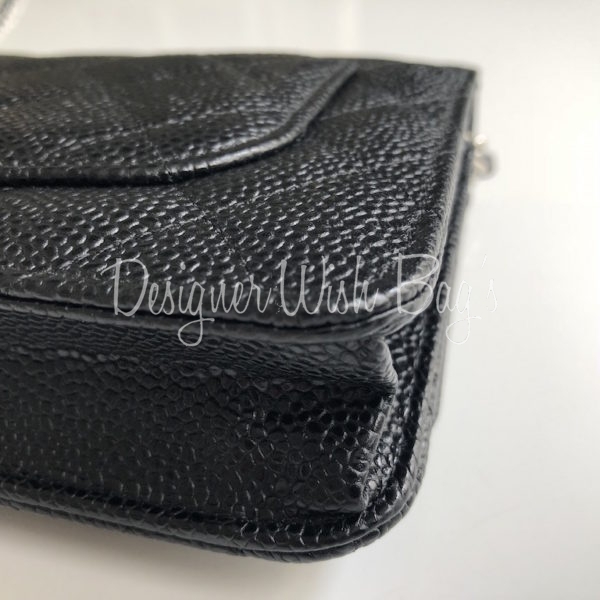 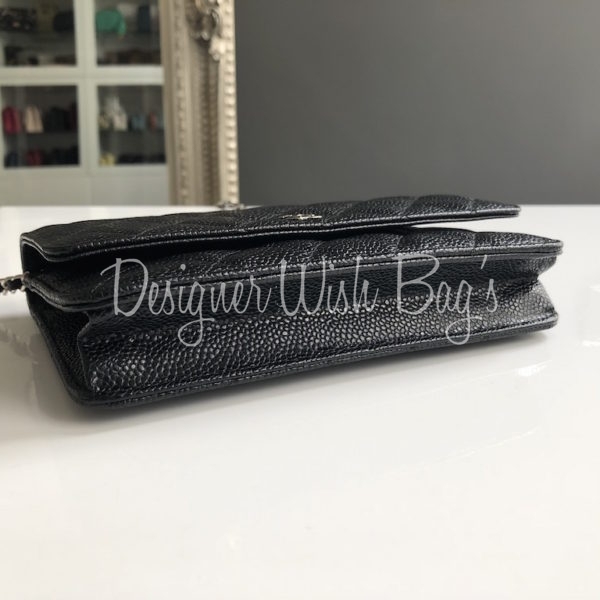 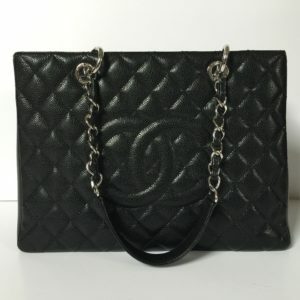 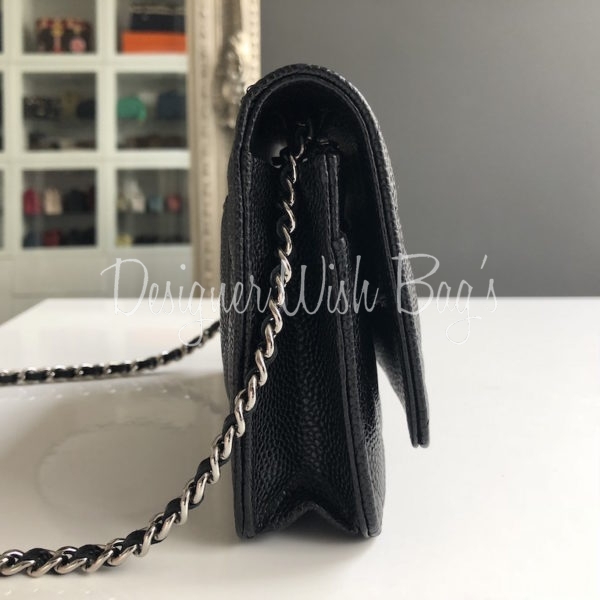 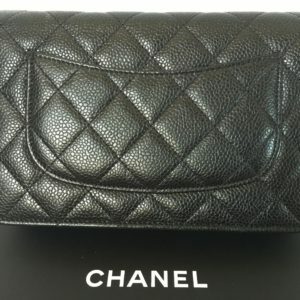 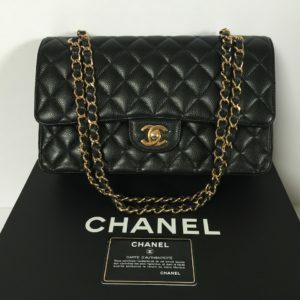 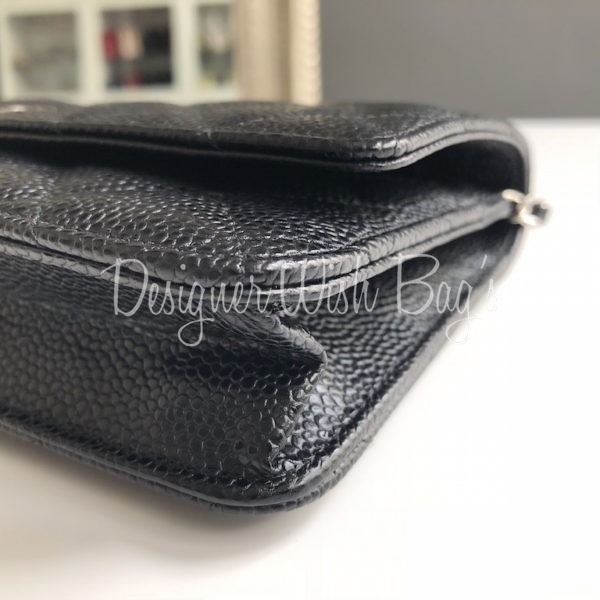 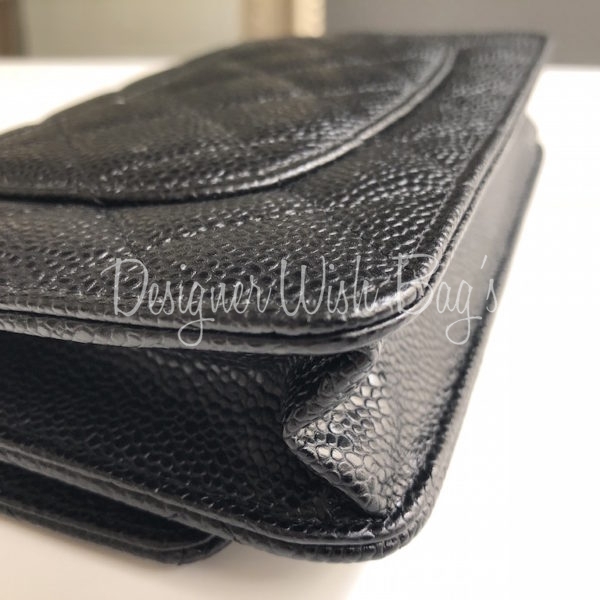 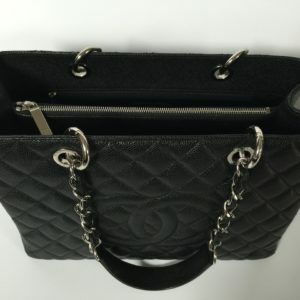 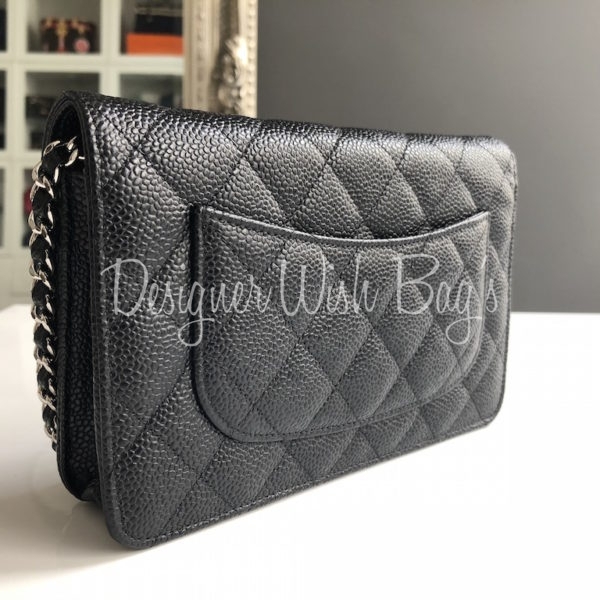 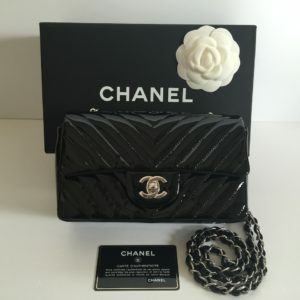 Chanel WOC – Wallet on Chain. 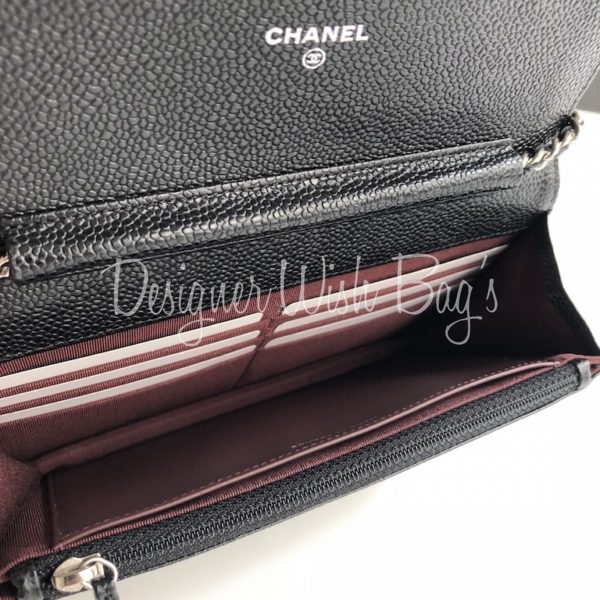 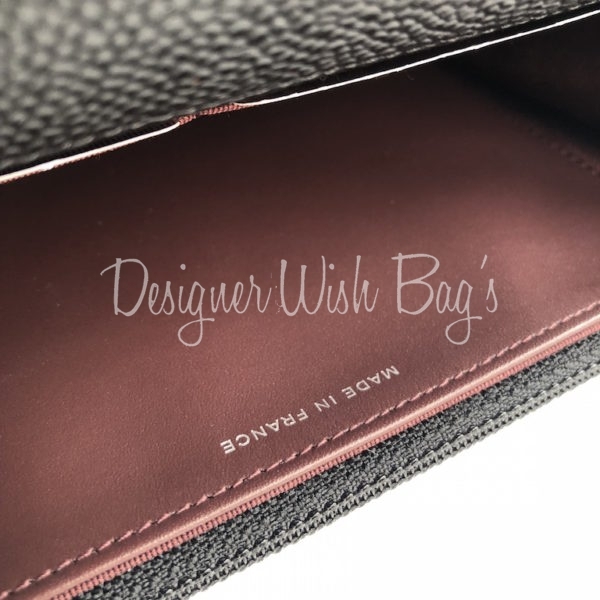 Black Caviar leather with silver hardware and burgundy lining. 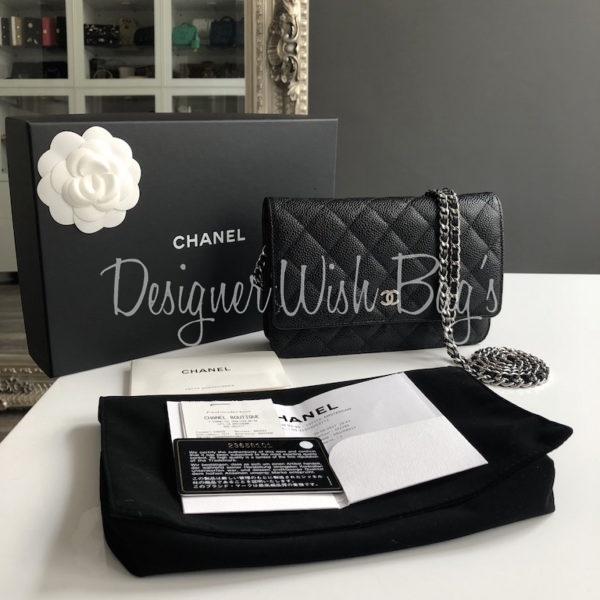 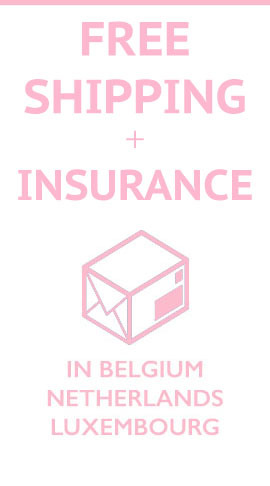 Will be delivered with full Chanel set; Box, dust bag, authenticity card booklets and Original Chanel receipt from 06/2017.